Great location, short walk to the Convention Centre. Clean and everything you need for a short stay. Kam's famous roast goose is just next door. Everything was awesome! It's one of the best you can find when it comes to price/quality and there was absolutely nothing we didn't like. I'll only look for the other places if this one is fully booked. Very near to the MRT. 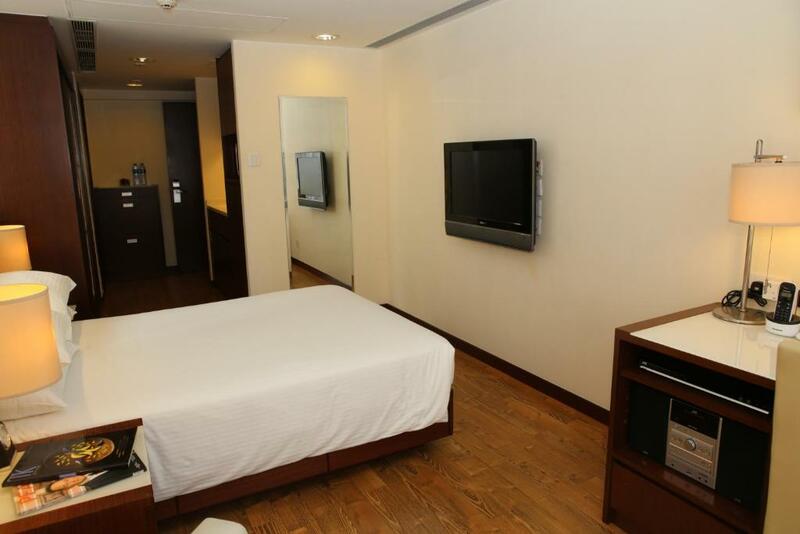 Comfortable rooms with a decent size refrigerator and kitchen sink as well as a few dishes. Free laundry was very appreciated and convenient. Safe property. Big windows. Large closet. Perfect location. There are nice restaurants around the area. The room is clean and comfortable. 2 Bottles of water were served daily. We arrived very late at night, and there is a staff to welcome us. The location very good and the room was very very clean. On the other hand , security was good , no room card you can’t go to the floor , feel very safe ! Though the property is sited on a main street, there was little noise in the apartment, but I did have a unit on a high floor. 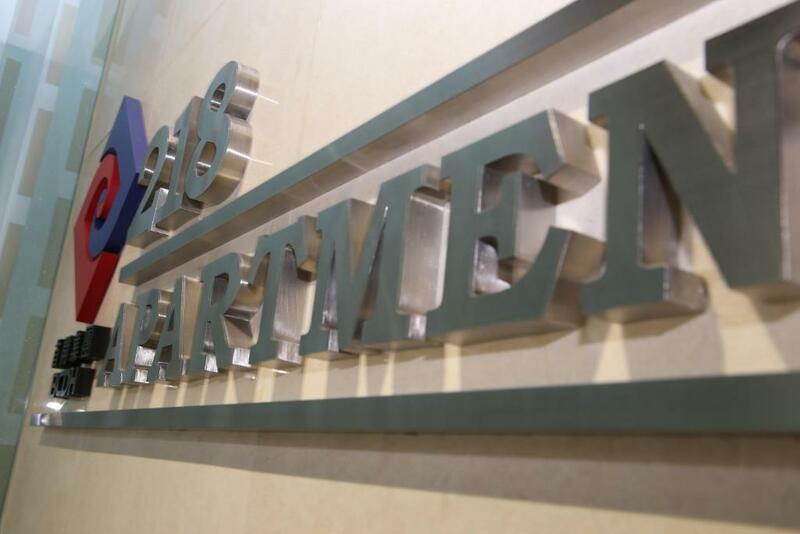 Sound proofing good, no sounds were heard from the other two units on the same floor except for sounds of tenants entering and exiting their apartments. Great location. Very nice room: clean and quite big. Very quite. Lock in a great price for 218 Apartment – rated 8.5 by recent guests! 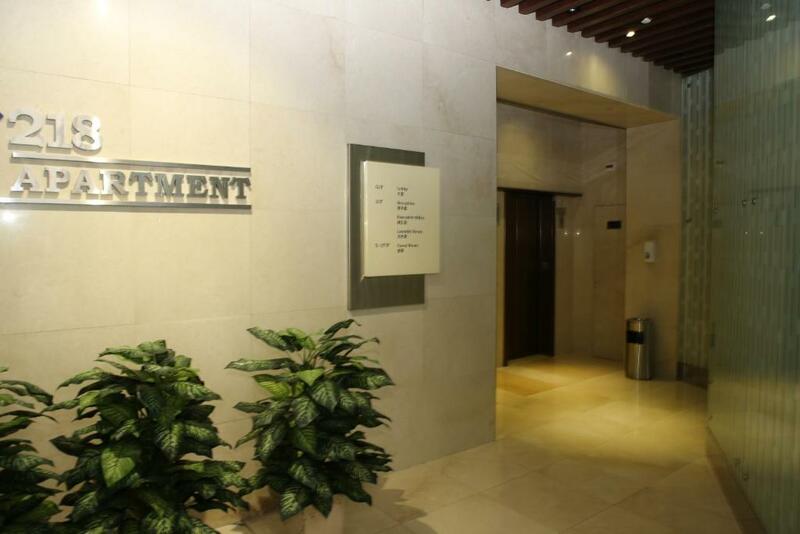 218 Apartment This rating is a reflection of how the property compares to the industry standard when it comes to price, facilities and services available. It's based on a self-evaluation by the property. Use this rating to help choose your stay! 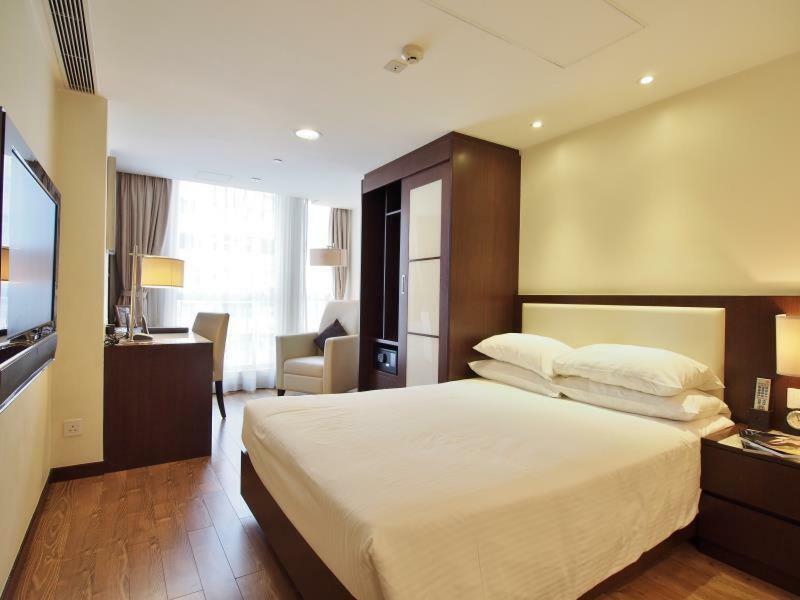 Featuring air conditioning, 218 Apartment is located in Hong Kong, only a 4-minute walk from MTR Wan Chai Station. Free WiFi access is available in all rooms. The property is a 20-minute walk from Hong Kong Convention and Exhibition Center. Shopping malls such as Times Square, Hysan Place or SOGO Hong Kong can be approached by a 15-minute walk or 1-stop metro ride. It is a 35-minute drive away from Hong Kong International Airport. All units include a cable TV. There is also a kitchenette, equipped with a microwave and fridge. When would you like to stay at 218 Apartment? 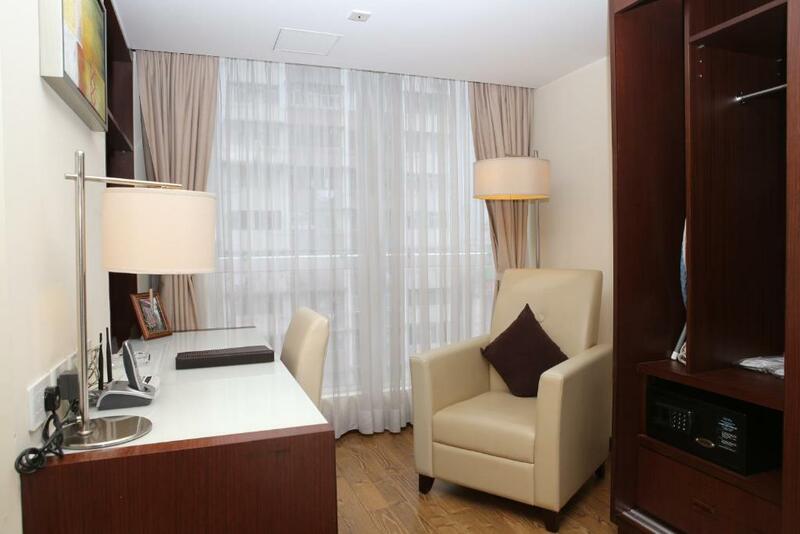 Conveniently situated in close proximity to the Wan Chai business district, 218 Apartment is just minutes away from the Wan Chai MTR station. 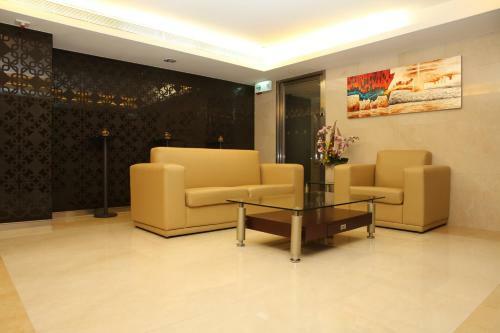 You can conveniently travel to any other districts by MTR as well as famous shopping districts. Causeway Bay is just one MTR station away. This property is unique for its harmonious blend of Eastern and Western cultures and offerings of its surrounding places of interest. 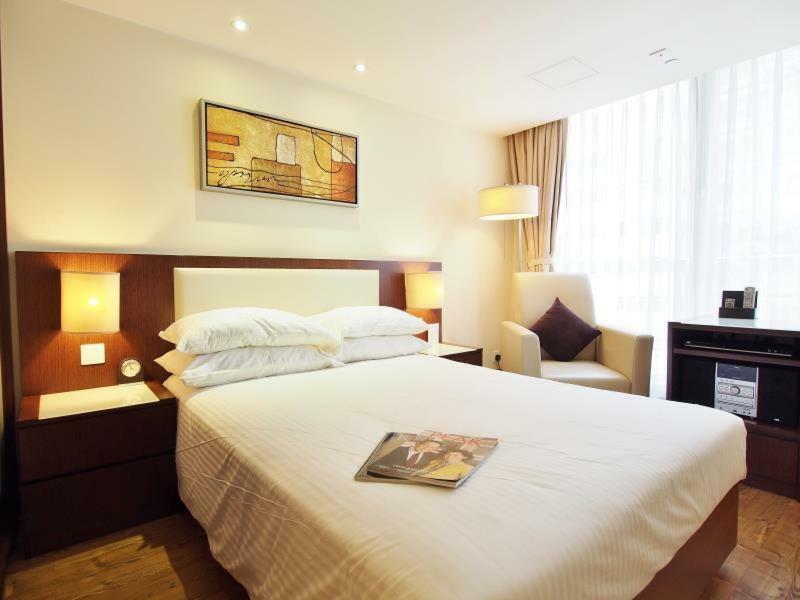 Well known attractions in Hong Kong such as Tai Yuen Street Market, HK Convention & Exhibition Centre, and Hung Shing Temple are easy to go to from 218 Apartment. You will be fascinated by the extensive chill dining and entertainment venues in the neighborhood. 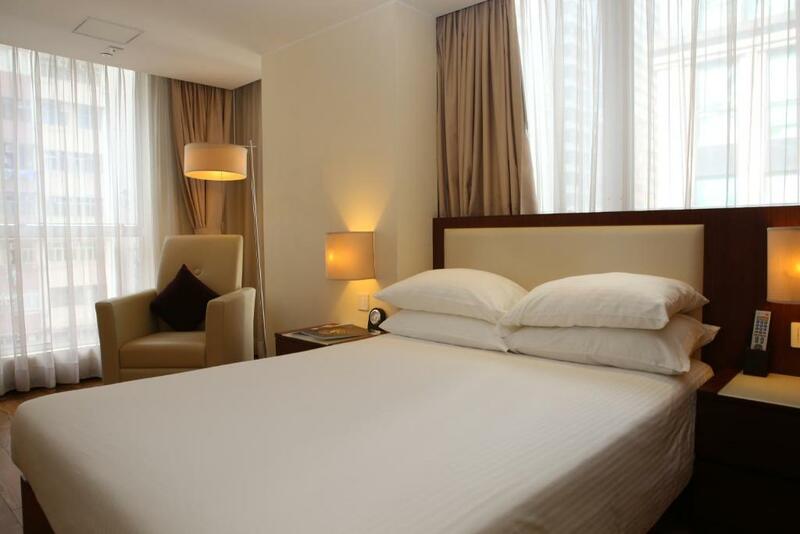 No matter for traditional food or modern fine dining, you will have it all near 218 Apartment. Area Info – This neighborhood is a great choice for travelers interested in food, city trips and city walks – Check location Excellent location – show map Guests loved walking around the neighborhood! House Rules 218 Apartment takes special requests – add in the next step! 218 Apartment accepts these cards and reserves the right to temporarily hold an amount prior to arrival. There was a tv light that was extremely bright and could not be turned off or unplugged. It made the room light up when lights were out. We had to drape a pair of pants over the tv to block the light and allow for better sleep. Only queen size bed available. No facial tissue in the room. The entrance was a bit dark , some lights gone ! No tissue supplied, had to look for a supermarket at 11pm. Not found. No electric cooker available, knife not sharp to cut a piece of paper. Cleaning lady walked over bath mat with shoes on. Poor quality of towels, all fiber stick on all over body and face. No water provided, except first day of arrival as welcome. Stayed 8nights, only 2 bottles of water. Room was dampy as Aircon not on, don know how long, so bed was rather wet and uncomfortable.